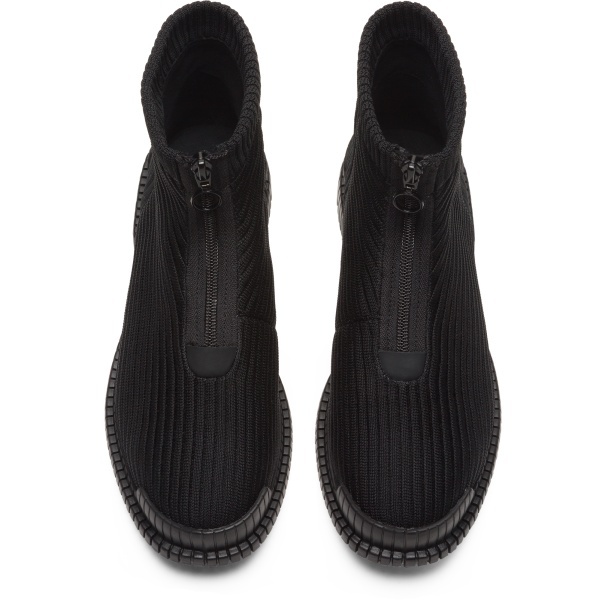 Fresh yet instantly recognisable, these women’s black zip-up boots offer a twist on classic design typologies. 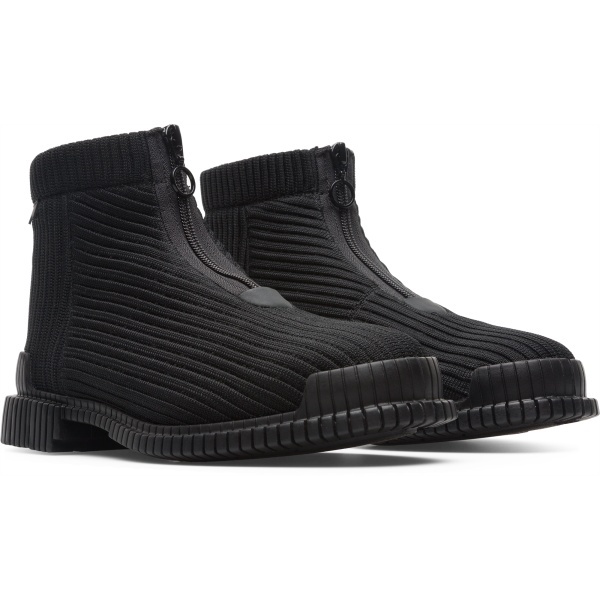 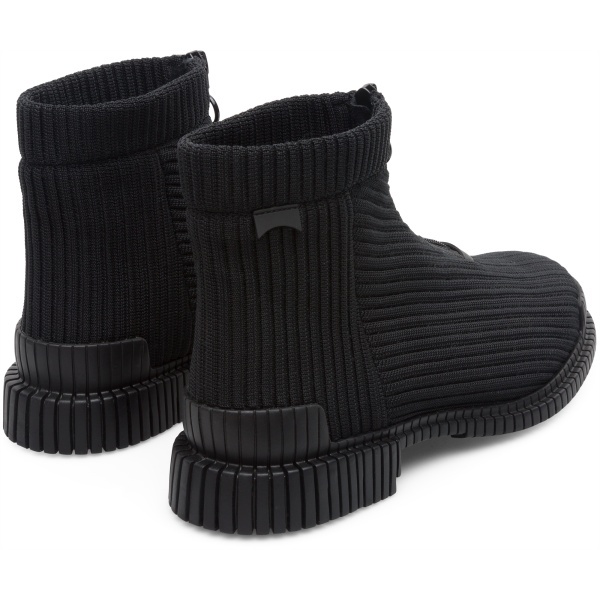 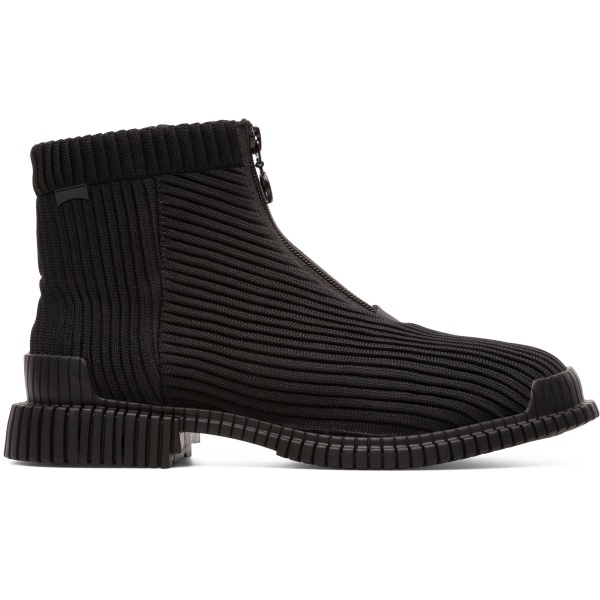 With an all-over black design, these women’s boots have knitted polyester uppers with a frontal zip for a relaxed-feeling, modern, urban look. The iconic 3D outsoles beneath are incorporated with X-shaped torsion technology for enhanced stability and harmonise with OrthoLite® insoles that cushion your feet while keeping them dry.